The so-called bank of Mum and Dad may be the quickest and easiest way to help grown-up children on to the property ladder. If you think you could be in a position to help your children with the financial aspects of home ownership, there are a number of options available to you. The fact that today’s young adults will have to live with their parents for much longer compared with previous generations has been well-documented in recent years. The increased cost of living and more stringent lending criteria are just two of the reasons why young people are struggling to save enough money for a deposit on their first home and are more reliant on the bank of Mum and Dad. However, new research shows that as many as 1 in 3 millennials will never own their own home, and are more likely to live out their lives in rented accommodation instead. The report, by the Resolution Foundation, blames factors such as rising house prices and job insecurity for the issue, and points out the need to overhaul the private rental market in anticipation of this huge economic and cultural shift. Whether you’re a millennial, or parent to one, the report certainly makes for bleak reading. So, can anything be done to help your offspring get on the property ladder? The most common way to help a child to buy their first home is to give them a cash sum to put towards a deposit on a property. These days, mortgages are harder to obtain than they were in the early part of the century, and as a first time buyer, the bigger the deposit you have, the better. The cash injection from the bank of Mum and Dad could be in the form of a gift or loan. However, you should be aware that giving the deposit as a gift may have implications for Inheritance Tax. Another popular option is for parents to act as guarantor on their child’s mortgage. The lender will then take your income into account, potentially allowing your child to borrow more. However, you should be aware that you will be liable for the mortgage payments if your child is unable to maintain them. Similarly, parents can boost their children’s borrowing power by taking out a joint mortgage on a property. In this case, the parent legally owns part of the property, and both parties are liable for the mortgage repayments. In most cases, only the child’s name would appear on the deeds. This is known as a ‘joint borrower, sole proprietor’ mortgage. 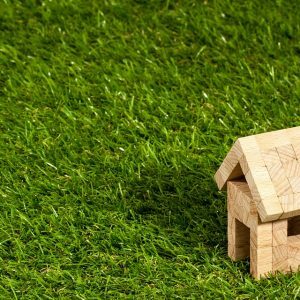 If you do decide that you want to help your children to buy their first home, it’s worth looking around for different options, as lenders do seem to be responding to this need with new, flexible lending products. For example, at the time of writing, the Family Building Society is offering a mortgage which allows up to 12 family members to club together to help a young person to buy their first home. For help and advice with the legal aspects of buying a first home, whether it’s for you or a family member, get in touch with our friendly advisors. Looking to move? Need a conveyancing quote?